Training and employability minister Jamie Hepburn. She also called on the Scottish Government to incentivise sectors of industry to offer more apprenticeships. In a written parliamentary question, Mrs Hamilton wanted to know what action the Government is taking to increase the number of apprenticeships in the Borders. A further report by the national skills agency Skills Development Scotland revealed there had been 80 such starts in the first quarter of this financial year, compared to 65 in the corresponding quarter of last year, an increase of 23%. 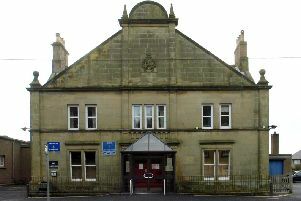 The agency currently spends £2.58m a year on employment services in the Borders, including £1.59m on partnership projects. These include the funding of training providers to work with local businesses taking on modern apprentices aged 16 to 24, offering them a sector-recognised qualification and on-the-job experience.